We will be running a workshop Planning for the Future for young carers aged 14-18 on Saturday 13th May. If you would like to attend please complete the booking form below and return to Carers in Hertfordshire, The Red House, 119 Fore Street, Hertford, SG14 1AX by Friday 5th May. 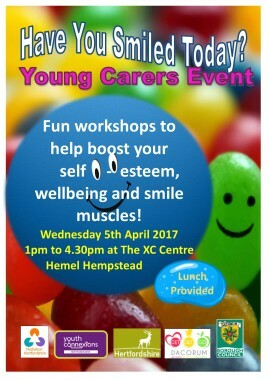 Please note you must be registered with Carers in Hertfordshire to attend this event, and we must have a 2017 Annual Consent Form. Visiting Hatfield University and Creative Writing: by Gemma, aged 16. Over the Easter break I went to the university & creative writing transition workshop. In the morning we learnt about Hatfield University and all about the Hatfield campus. We were taught about finance, student loans, choosing the right course for me and much more. Did you know that there are over 43,000 subjects to study? We were also given a lot of good advice about personal statements. For example, when writing a personal statement make sure you are honest, you show your interest and knowledge of the course. Also, put down your skills, abilities and career motivation. It is important to support these points with evidence like achievements and work experience. Then we went through the pros and cons of university. Some pros are; you gain independence and new skills, you can meet new people and you can do something you love. Some cons are; it doesn’t always make you get a graduate job, there’s a lot of time studying and you can be in class for 3-20 hours a week depending on the course. We also had a lovely tour around the campus. After lunch we had an author, Joanna Ingham, come in. It was time for our creative writing. We talked a bit about ourselves and got to know each other better. We read some poems and discussed how the writer was feeling and why. We imagined that we were writing our own autobiography. We wrote down what our cover, title, a few sentences from different parts of the book would be. It was great fun. Then we thought of a picture and described it. After a while we imagined we were animals. The whole day was amazing and it gave me the chance to make a friend. Unfortunately we have had to cancel the below session on 4th April, due to low uptake of bookings. We will be scheduling another session for 14 – 18 year olds and will publish details as soon as possible. Sorry for any disappointment caused! Are you aged 14 to 18 and want to learn more about making your money go further? Do you want to learn about budgeting and saving for the future? Come along to our Money Management session that is being run by Barclays Life Skills, and learn about: budgeting, saving, bank accounts, and much more! When? Tuesday 4th April, 10 am – 1.45 pm. Lunch included! Who wants to be a squillionare? 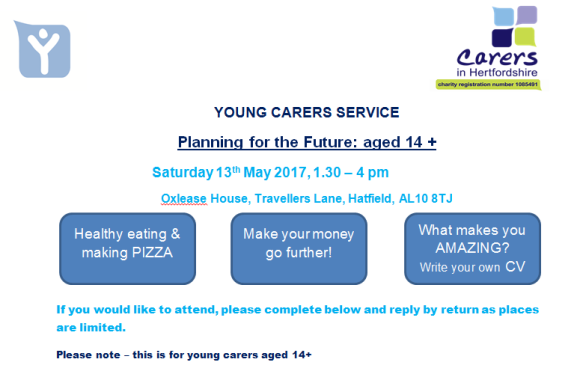 Calling all Young Carers in Dacorum, aged 11 – 19! 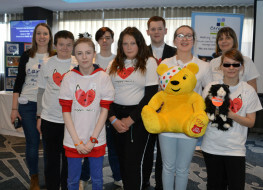 Youth Connexions are setting up a fortnightly project for young carers aged 11 – 19, living in Dacorum. 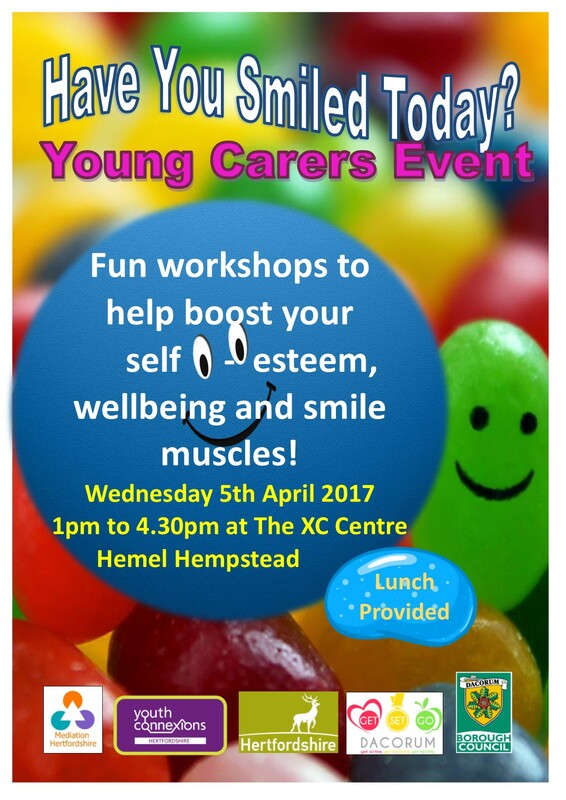 You can find out more and meet other young carers by going to the event below on Wednesday 5th April 1 – 4.30 pm at XC Centre, Hemel Hempstead. Moving between primary and secondary school can be an exciting and daunting time for young people and their families. For young carers, there might be extra considerations that you are thinking about. If you are interested in booking on to this workshop then please see the flyer below. Booking is essential, and a parent/guardian must attend with every young carer. Are you aged 14 – 18 and thinking about next steps after school or college? Do you want to explore this transition in a creative way, or find out more about University options? Creative Writing: Join professional writer for a fun and interactive session to explore feelings about the future. Suitable for all! A 2017 Annual Consent form for each young carer attending must be completed if you have not previously done so. Thank you. 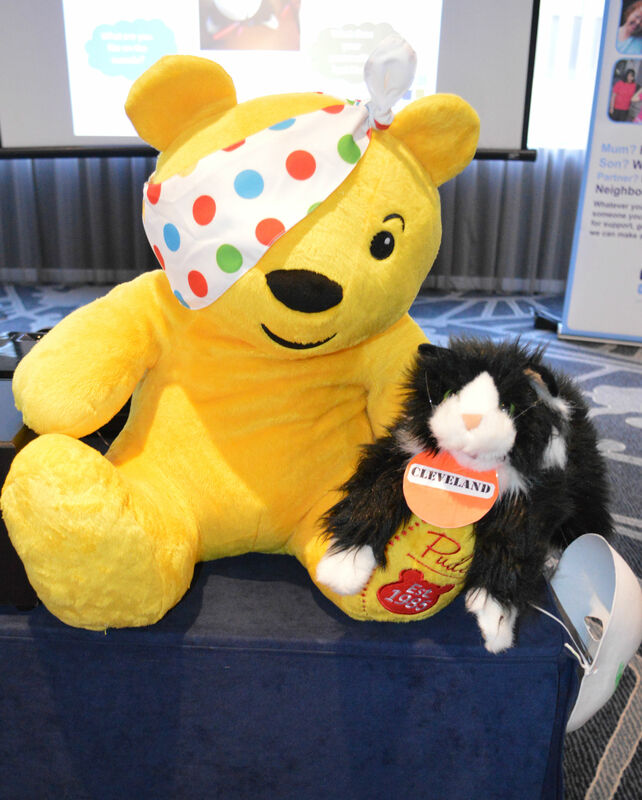 In half term our Young Carers Conference took place in Stevenage, bringing together 90 young carers and almost 60 professionals for an exciting, busy and fun-filled day. 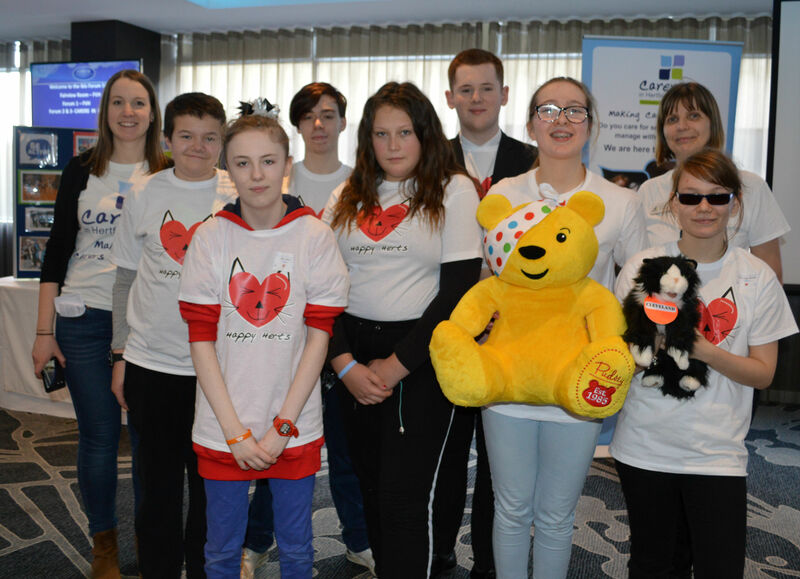 The Conference ‘Happy Herts’ was organized and hosted by the Young Carers Council, and focused on health and happiness; what helps young carers to be happy and healthy, and what can get in the way of this. Young carers started the day with mask-making; this was great fun, and it got us thinking about the side we show other people, and what we sometimes keep hidden. Mask-making was quite messy and glitter glue somehow ended up on the ceiling! In the afternoon the young carers walked to Airspace Trampoline Park and were able to have lots of fun on the trampolines before going home. We were excited that Cleveland was able to meet Pudsey, to celebrate this being the first Young Carers Conference funded by BBC Children in Need. Cleveland has a new friend for life!